CHARLOTTE, N.C. – Over the past 14 years, Jon King has made more than 10,000 beats. As a music producer – collaborating with two-time Emmy-winning artists year after year – he’s put in the work that it takes to make a successful career … a thousand times over. In fact, it’s that very idea that led to his stage name, Thousand Times. His most recent display of that work is a new album called “Road Maps,” and one of the album’s singles – “Power,” a politically charged track that’s been building momentum in light of recent events in Charlotte – has a bid for a Grammy nomination. The album features electronic music with a hip-hop aesthetic – all couched within a positive, uplifting message that says, “If you focus, work hard and follow your dreams; the sky is the limit.” It’s an album he’s extremely proud of, having created all the tracks for every song and collaborating with some of the country’s hottest up-and-coming artists. The irony of his success is that he was very nearly an attorney instead of a successful musician. Though he’s been producing tracks and creating beats since the age of 14, he attended college pursuing a political science degree. And upon graduation he had every intention of working toward earning a master’s degree and taking the Bar exam. At the time he was really into musicians like Timbaland and Pharrel, and he always wondered how they could “make those noises come out of the radio” time and time again. His work has already caught the ears of Emmy-winning artists such as Boris Bluz Rogers, a spoken word artist who recently won two Emmys and who has become a frequent collaborator and close friend of King’s. He said he hopes to develop more relationships like this with other artists, and that through that combined work he can share his music with the world. 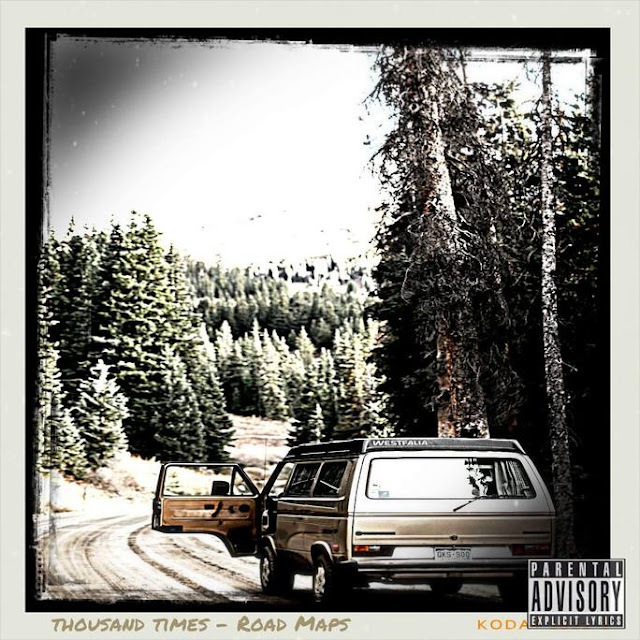 Fans who want to get a taste of Thousand Times’ music can check out the album “Road Maps” on CDBaby, or the single “Power” on his Soundcloud page. Fans can also visit his website for more information about him and his music.